We’re often asked why valves don’t come free with radiators, the simple answer is there are so many types to choose from.The type of valve you need depends on the position of the radiator pipes in relation to the radiator inlets. It also depends on the radiator pipe centres. Angled valves, straight valves, corner valves, twin valves. 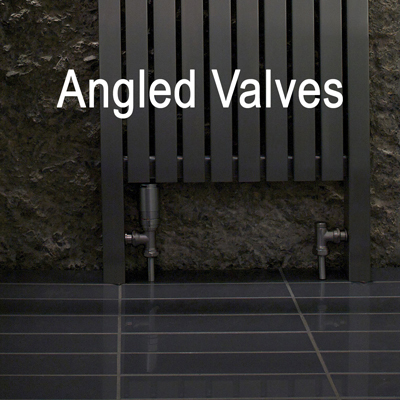 Angled valves are usually used when the pipes come from the floor. 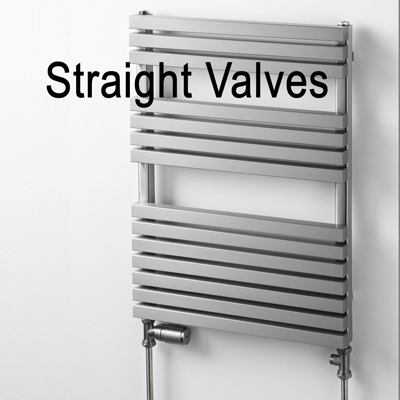 Straight valves are used generally when the pipes come up from the floor with the connection on the radiator underneath the radiator. 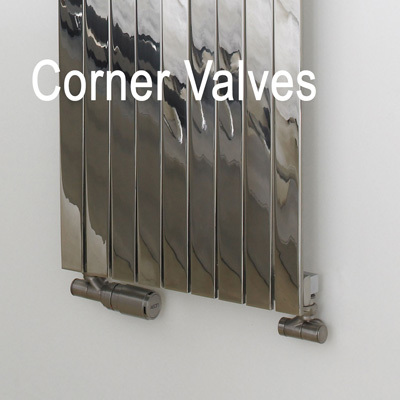 Corner valves can be used as an alternative to angled valves to avoid the situation where the head of the valve is protruding further forward than the radiator. This situation arises when the connection on the radiator is on the left and right or underneath and the pipes leading to the radiator are coming out of the wall immediately behind. 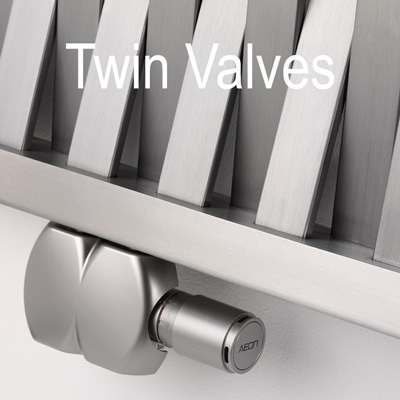 Twin valves are used when the radiator has the option of 50mm pipe centres.